BEIJING (AP) -- China said it's rolling out new tariffs on meat, fruit and other products from the United States as retaliation against taxes approved by U.S. President Donald Trump on imported steel and aluminum. The Chinese finance ministry said in a statement that the new tariffs begin Monday. The announcement follows warnings Chinese officials have made for several weeks in an escalating trade dispute between the world's two largest economies. China's Customs Tariff Commission is increasing the tariff rate on pork products and aluminum scrap by 25 percent. It's also imposing a new 15 percent tariff on 120 other imported U.S. commodities, from almonds to apples and berries. The White House didn't respond to a message from The Associated Press on Sunday seeking comment. The tariffs mirror Trump's 25 percent charge on imported steel and 15 percent hike on aluminum. Trump has also announced separate plans to slap tariffs on nearly $50 billion in Chinese imports. Trump's planned tariffs are partly aimed at punishing Beijing for allegedly stealing American technology and pressuring U.S. companies to hand it over. But the Chinese response could end up hurting American ranchers and farmers, many of whom are from regions that voted for Trump in 2016. U.S. farmers shipped nearly $20 billion of goods to China in 2017. 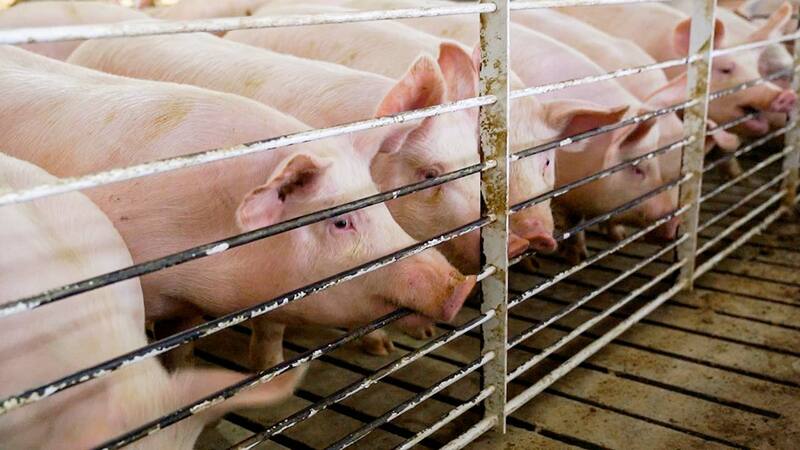 The American pork industry sent $1.1 billion in products, making China the No. 3 market for U.S. pork.